Employment PowerPoint templates, backgrounds Presentation slides, PPT Themes and Graphics. Our employment PowerPoint templates are used widely by presenters of various organizations. Employment is a term used an activity or state when one is paid for doing work. To earn bread and butter it is vital. Therefore, in this paradigm shift in the work culture, organizations are using various employment strategies to stand above their competitors. There our employment PPT slide templates work wonder. Portray your employment strategies among the recruiting team for finding appropriate employee or candidate. Apart from this, our training and development presentation templates facilitate not only the employer to get appropriate guidelines for educating novice employees but also to trainees who get to know their progress. For the success of any organization, employer-worker relationship needs to be balanced. Presenter can also showcase its importance and methods to attain productive employment relationship. Our workforce organization chart are utilized to help employees and novice to recognize the management or their team. All our employment PPT templates are designed by professional designers to impress your audience with amazing graphics. Show case the connectivity of the management. Manage strategies, and temporary help service employment. Business flowchart, timeline and vein diagram. All these assortments are available at just one go. Our employment PowerPoint presentation templates are completely customizable. Download and edit colors, shapes and sizes the way you desire. We also have a selection of free employment PPT templates at our free download section. 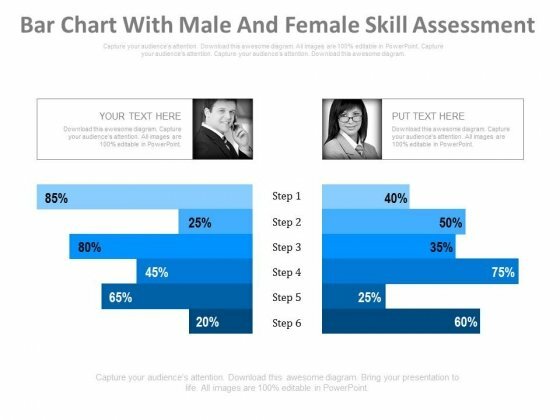 This PowerPoint template has been designed with graphics of compare chart. You may download this diagram slide for analysis of employee performance. Add this slide to your presentation and impress your superiors. Take the plunge with our Chart For Employees Performance Measurement Powerpoint Slides. Success will surely ensue. This PowerPoint template has been designed with men icon tablet and checklist. 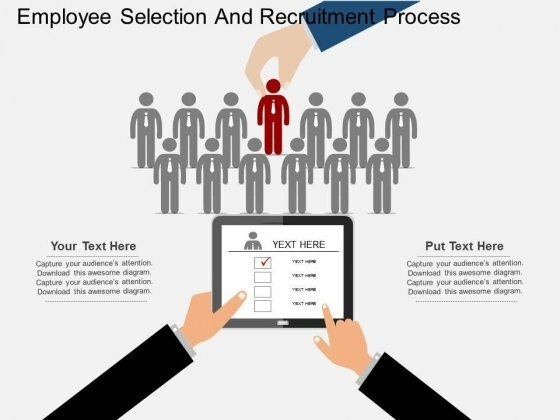 Use this business slide to depict employee selection and recruitment process. This slide will help you express your views to target audience. Take the plunge with our Employee Selection And Recruitment Process Powerpoint Template. Success will surely ensue. 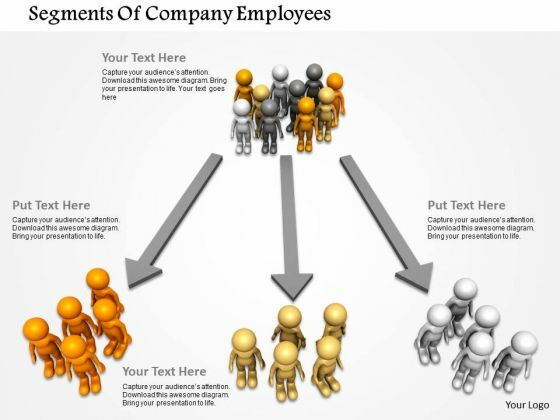 Concept of three way customer segmentation has been defined in this power point template. This 3d diagram contains the graphic of customers group and way. You have identified the key result areas. Focus on each through this slide. 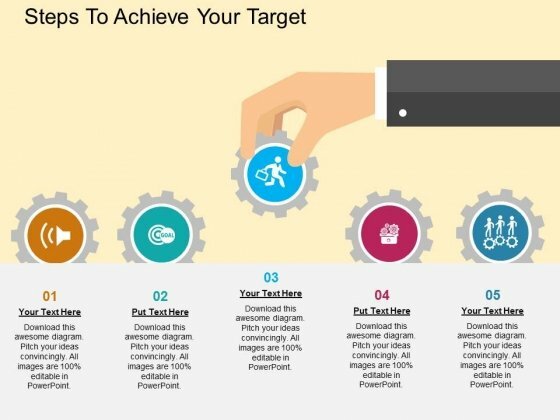 This business framework power point template has been crafted with graphic of multistage circle. 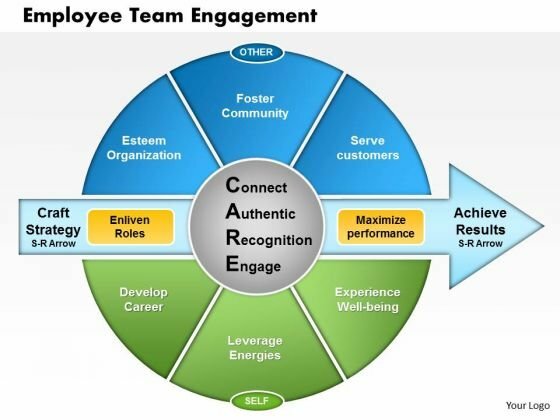 This PPT diagram contain the concept of employee team engagement. Use this image slide for your human resource and political strategy related presentations.